Sheriff's Office Eradicates Marijuana Grow, No Suspects at This Time, GOODRICH, July 2, 2016 - On June 30, 2015, Sheriff Kenneth Hammack, advised the Polk County Sheriff Office and the DEA (Drug Enforcement Administration) were conducting fly overs in Polk County looking for Marijuana fields. Sheriff Hammack states while conducting their fly overs a small grow was discovered South of Livingston off of Stallion Station Road near Long King Creek. 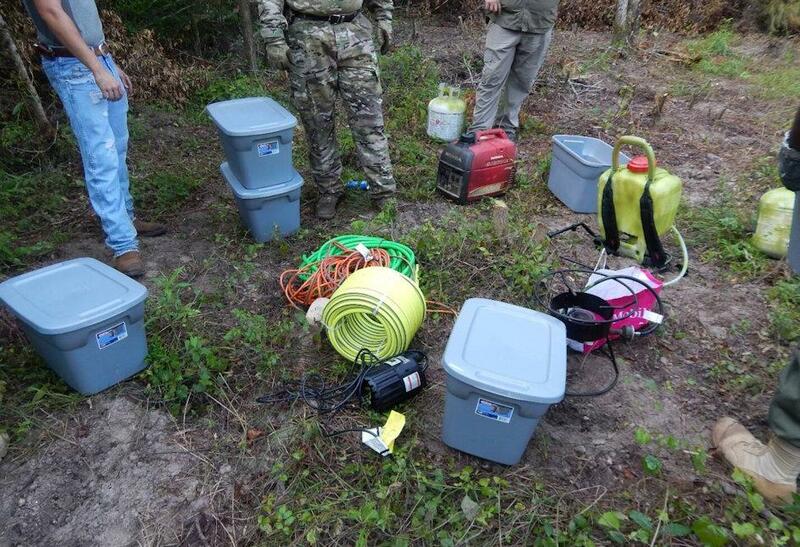 In the early morning hours of July 1, 2016, a tactical team from the Polk County Sheriff’s Office entered the wooded area in an attempt to locate suspects in the fields. After the camps and grows were secured there were no suspects found on site, an evidence recovery team entered the site and recovered and tagged evidence. 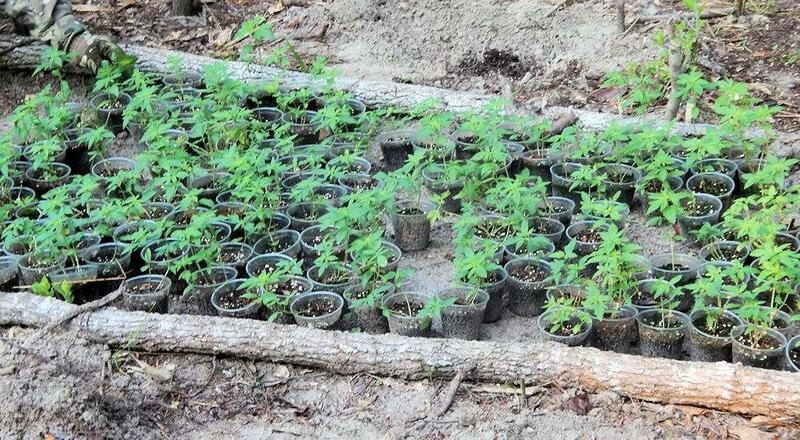 Two fields were located and approximately 17,000 young plants recovered. Sheriff Hammack, advised no arrested have been made at this time, but the Polk County Sheriff’s Office’s investigation in ongoing.